Spotted on fine quality road bikes up to around £1,200, this is the double chainset of choice for bicycles with Shimano 2x9 drivetrains. SG-X chainrings feature strategically placed chain pick-up pins and tooth profiles to ensure fast and positive shifting. 2-piece design allows the bottom bracket bearings to be spaced wider apart (outboard the frame) or press fit 86.5mm enabling the use of larger bearings and an increased axle diameter. There is also the benefit of easier installation, adjustment and maintenance. 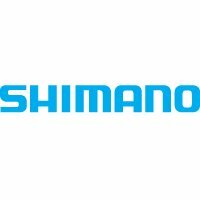 Made to work best with Shimano Hyperglide (HG) 9-speed chains and cassettes. Aluminium outer chainring with hard-wearing steel inner chainring.